"The Nation's Favourite Food FAST!" 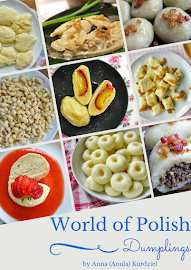 Chapters: Introduction, Soups, Starters, Salads, Beef, Chicken, Lamb, Pork, Fish, Eggs, Vegetarian, Takeaway my way, Pasta, Dinner party, Vegetable sides, Leftovers, Lunchbox, Kids' favourites, Desserts, Baking, Breads. It's not the very first book on the market about fast cooking, about getting a nutritious plate of food on your table, all home made in a very quick time - or at least time similar to picking up the phone, ordering your take away and waiting for it. It seems to be a new trend in cooking - make something nice, nutritious, from scratch fast. I thinks it's a reflection of times we're living in - everything became faster and on many occasions some things like values, standard were lost in the process. But not for Neven! He'll show you how to prepare delicious dinner, lunch, sweet treat in no time at all - but some planning ahead and preparation is usually the key here. I'm already a very happy owner of Neven's previous book "The Nation's Favourite Food" so I was waiting for this one with anticipation. And again - I'm anything but disappointed. I really liked how the "theme" and the layout from the previous cook book was kept - even the chapters! So having both books really does make sense - first one as a "go to" for weekend, laid back, sometimes traditional dishes, the new addition "Fast" - for fuss free solution to your weekday meals and some treats too! The recipes, as you can expect from Neven, are again fool proof! Yes, I'm standing behind those words with full confidence. Even when reading the recipe you can see that the steps are well explained and there's a reason/purpose in each and every one of them. Recipes aren't complicated and easy to follow, no expensive and hard to get ingredients used and yes, "as it says on the tin" - everything is relatively quickly to make - from start (pealing, chopping etc.) to finish (putting ready made dish on the plate) it should really take you more than about 40 minutes on average. Because all recipes are quick to make - they are also quite simple/easy, but it doesn't take away from the taste! All in all - a great cook book! If you already own Neven's previous book, this will be great continuation/addition to it. If you're a busy parent, student or just simply don't like or have much time to spend standing over your pots and pans, but still want a good meal at the end of the day, do have a look at "The Nation's Favourite Food FAST!" - you won't be disappointed! From a very young age, one of Neven Maguire’s favourite pastimes was to shadow his mother in the kitchen, watching her cook. He began experimenting with ingredients in the home kitchen at the tender age of ten and his pastime soon became his passion. After studying catering in Fermanagh College in Enniskillen, Neven went on to train in some of the highest-profile restaurants in the world, including the Michelin starred Roscoff’s in Belfast, Grand Hotel in Berlin and Arzak in San Sebastian. He also worked with Léa Linster, the renowned Michelin starred chef from Luxembourg, whom he credits as a major influence. In 2001, Neven took over MacNean Restaurant, turning a local establishment into a national phenomenon and in 2012 published the highly acclaimed MacNean Restaurant Cookbook. Neven presents the top-rated cookery show on RTÉ, Home Chef. He lives in Blacklion, Co. Cavan with his wife Amelda, and twins Connor and Lucia. - by Gill & Macmillian Books. I received a free copy of this book to review from Neven Maguire himself. All thoughts and opinions stated in this post are 100% mine.